We have seen quite a few cool looking gaming mice here at geeky gadgets, I am not quite sure how to describe this one though, as it certainly looks a bit different than anything we have seen before, the Mad Catz Cyborg R.A.T. Mouse. 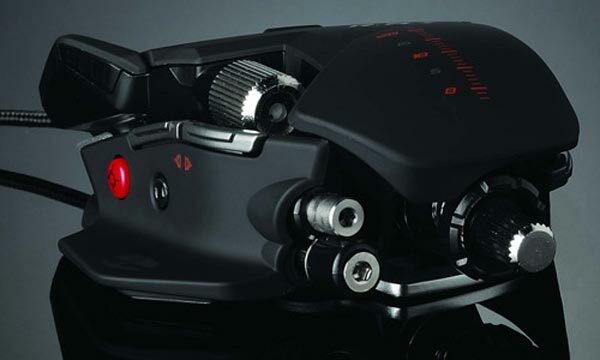 The Mad Catz Cyborg R.A.T. Mouse comes with a range of features including adjustable DPI’s up to 5600, and adjustable weights as well as being to change the ergonomics of the mouse. Cyborg is best known for ergonomic and fully adjustable flight sticks, gaming mice and keyboards. The new mouse range incorporates the same market leading design principles and applies them to gaming mice. 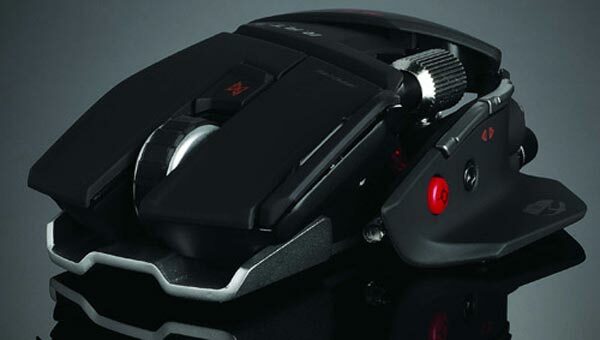 For the first time ever on a mouse, the key points of contact between the gamer’s hand and the mouse are fully adjustable allowing it to be customized for any grip preference” commented, Darren Richardson, President and Chief Executive Officer of Mad Catz. There are four different mice in the range, the Cyborg R.A.T. 3 Gaming Mouse, which comes with a 3200dpi laser and is powered by USB, this model will retail for $49.99 about £34.99. Then there is the Cyborg R.A.T. 5 Gaming Mouse, which features and adjustable length, a 4000dpi plus a range of programmable buttons and adjustable weights, this model will retail for $69.99 about £49.99. Next up is the Cyborg R.A.T. 7 Gaming Mouse, which is full adjustable, has a 5600dpi laser and is fully programmable with adjustable weights, this model will retail for $99.99 about £79.99. Finally there is the top of the range Cyborg R.A.T. 9 Gaming Mouse, which is a wireless mouse with a 5600dpi laser, and this model is also full adjustable and programmable, it will retail for $129.99 about £99.99.